A commanding batting effort by Australia as they won the opening ODI against Pakistan yesterday has increased the pressure on David Warner and Steve Smith to shine in the IPL to secure their World Cup spots. Warner and Smith will return to high-level action in the IPL today and tomorrow respectively in the wake of Australia winning their fourth ODI on the trot thanks to Aaron Finch (116) and Shaun Marsh (91*). Given his status as captain, Finch has now all but secured his World Cup spot by averaging 46 across Australia’s six ODIs in India and the UAE this month. Marsh, meanwhile, was a shock omission from the final ODI in India but yesterday proved his class once more to take his ODI tally to 760 runs at 58 over the past year. 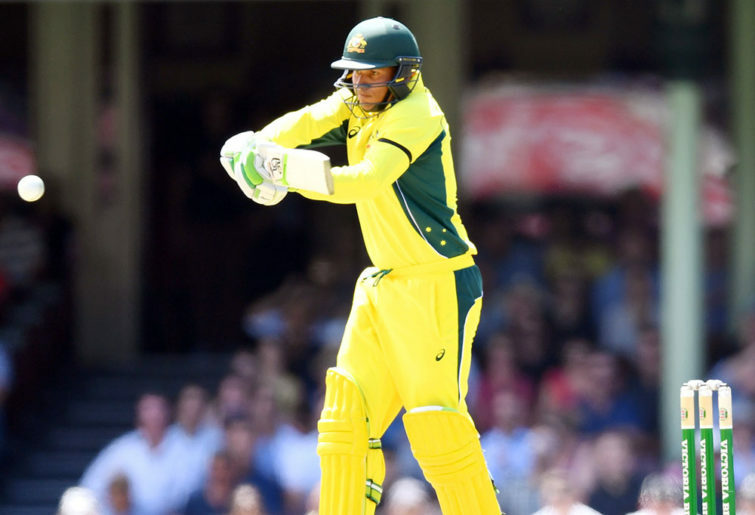 With Usman Khawaja (521 runs at 58) and Peter Handscomb (417 runs at 52) also in hot ODI form in 2019, there is suddenly a logjam of contenders to bat in Australia’s top order. Because Australia like to have two batting all-rounders to share ten overs, and with Alex Carey seemingly bedded in as wicketkeeper, that leaves six batsmen likely competing for just four spots in the World Cup line-up. Finch’s position still looked shaky until he constructed a calm and impressive ton yesterday. While it’s still far too early to declare that the 32-year-old is back in form, it was notable that Finch’s timing and balance were the best they have been in six months. So often across his white-ball career, when Finch is searching for touch, he starts to try to murder the ball. By becoming overly forceful in his stroke play he loses his shape. From the start of his innings yesterday there were good signs Finch was trusting himself to play touch strokes instead of just belligerent ones. He executed a couple of delicate leg glances to straight deliveries which were targeting his stumps, presumably because of the manner in which he has struggled so badly against this line of late. Australia’s chase of 281 on a sluggish Sharjah deck initially looked as if it could be tricky. Then Finch and Khawaja gave Australia a dashing start, putting on 63 in 11.1 overs before the skipper and Marsh constructed a 172-run stand that all but sewed up the match. Khawaja again looked in superb nick, as did Handscomb, who took pressure off Marsh at the end of the innings by scurrying to 30* from 27 balls. Once more Handscomb managed to score at a swift rate without relying on boundaries, which accounted for just eight of his runs. The Victorian’s versatility is hugely appealing. He has looked at ease anywhere from three to five in the order and has variously been either calm in a crisis, busy milking ones and twos when his batting partner is dominating, or capable of being the dominator when necessary. Earlier Australia’s spinners did a good job on a pitch that offered limited turn and bounce. Off spinner Nathan Lyon in particular was outstanding after being handed the major challenge of bowling in the power play. Lyon came on after just six overs and in his second over grabbed the massive wicket of Imam ul-Haq, the prolific opener who has scored five tons in his first 22 ODIs. His opening spell of 1-21 from six overs put the brakes on the Pakistani innings. All-rounder Glenn Maxwell also bowled tidily before taking some tap later in the innings and is beginning to build some handy form with the ball heading towards the World Cup. Coming off a fantastic tour of India, leg spinner Adam Zampa (0-45 from ten overs) again bowled well and was unlucky to go wicketless. Quicks Jhye Richardson (1-64 from eight overs) and Nathan Coulter-Nile (2-61 from ten overs) were both patchy, but Pakistan still ended with a below-par total. Australia will face Pakistan in the second ODI tomorrow at the same time as Warner makes his IPL comeback for the Sunrisers Hyderabad.